HOT Blankie - light pattern from the design studio HotJoomla, working on a new development Sparky Framework. Developers have tried to create a platform that will have many new features, such as: fast loading pages on the site, semantic markup HTML5, full support for mobile devices, and more. 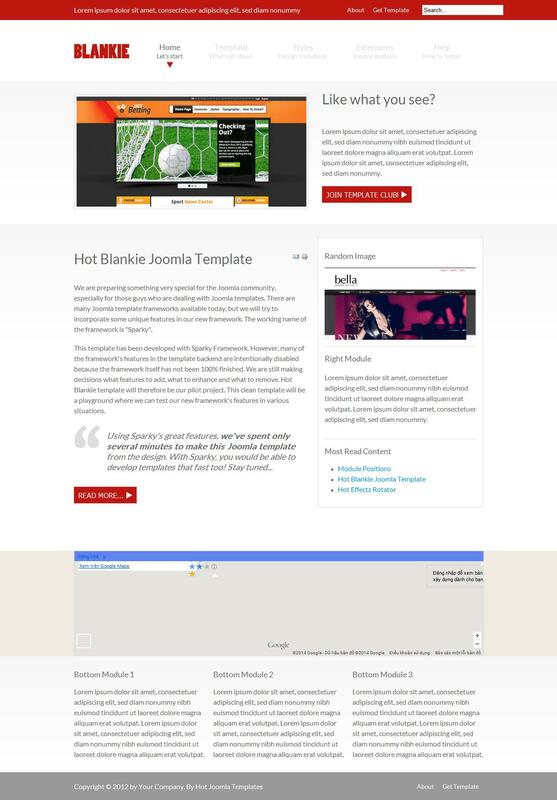 This template is disabled by default background image, as it is primarily intended to create your own website design.